Access to advice has become an increasingly hot topic in recent years amid a shift to new models such as robo-advice, but when it comes to advice around pensions it seems supply cannot keep up with demand. 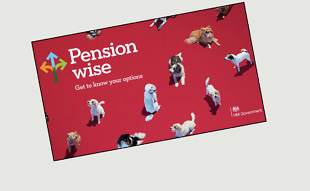 According to a report published last week, and covered here in the FT , the wait for appointments with the guidance service Pension Wise have lengthened as a result of rising demand for its free sessions on pension options, prompting calls for more government support. Introduced in 2015 amid a wave of pensions reforms, the service was set up to provide people aged 50 and above and who have defined contribution (DC) pension plans with free face-to-face or telephone-based advice from a specialist. Those who want it get a free 45-60 minute session but such is the demand for guidance that an official evaluation found that waiting times had increased. While no official numbers were given about just how much waiting times have increased, stats covering the last financial year showed the Pension Wise website received over 2m visits, with 63,000 face-to-face appointments and 24,000 telephone appointments taking place, both a third higher than the previous year.